On Oct. 29, 2012, Hurricane Sandy brought havoc to the East Coast of the U.S. Among the destruction, its 60 mph winds struck a construction crane atop the One57 luxury high-rise in midtown Manhattan and left the crane’s massive arm hanging precariously over a street. Buildings throughout the adjacent blocks were evacuated, and millions watched as footage of the scene unfolded across news networks. “As we were coming up with concepts for Dylan, there was that storm that hit New York,” recalls game director Jon Warner, “and there was this giant crane that had been damaged, and was dangling off the side of a building. CNN and everybody was showing it.” For a time, the disaster haunted their imaginations. Fast-forward to the unveiling of Anthem on the eve of E3 2017, and the influence of that hurricane five years prior was impossible to miss. The first gameplay trailershowed a squad of armored guns for hire making their way through an alien, primordial landscape, cutting down hostile creatures until they happened upon a technological cataclysm called a “shaper storm.” The first signs of the in-game event, naturally, were darkened skies and violent winds. It’s also unsurprising that Anthem’s setting — the fruit of those early Dylan meetings — centers around godlike machinery that reshapes the game world, even as it throws that environment further into chaos. This is a period of change for BioWare. In the summer of 2018, the developer quietly retired the logo it had used since its 1998 hit, Baldur’s Gate. Later this year, it will be moving from its current Edmonton offices to the downtown Epcor Tower, the third-tallest building in its native city. And Anthemitself, a project more than six years in the making, is a marked departure for the studio that made its name with Dungeons & Dragons simulations like Baldur’s Gate, Neverwinter Nights, and Star Wars: Knights of the Old Republic. For a company founded by a handful of D&D players fresh out of medical school, this question isn’t particularly new. But it’s one BioWare knows how to answer. Polygon recently spent a day at the developer’s Edmonton office, talking to several members of its leadership team about the state of BioWare — about new challenges posed by Anthem as well as scant details on the next Dragon Age, how BioWare figures into EA’s plans for the Star Wars license, and the future of the Mass Effect franchise. At first glance, Anthem bears little resemblance to the games that earned BioWare its reputation. An online-only shooter designed for constant retooling, with an emphasis on replayability, it’s a four-player social experience above all else. You might be forgiven for thinking it had been made by any other developer. The studio has made a tradition of nicknaming its projects after folk singers — the next Dragon Age was reportedly called “Joplin” at one point — but there’s a rhyme and reason to the Dylan moniker. “It was really about creating something that had a lasting appeal,” Warner says. “Something that could withstand some time, like Bob Dylan. And so that kind of set the philosophical tone for what we wanted to achieve.” With a vague mission statement in place, Hudson laid down the design foundation: Dylan would be a shared world with a focus on social gaming. Of BioWare’s two active intellectual properties, Dragon Age had a Tolkienesque fantasy setting, while Mass Effect offered a blend of heady science fiction and Star Trek-infused space opera. According to Hudson, Dylan needed to be “a third thing” of some sort in order to justify making another IP. It needed to feel new. 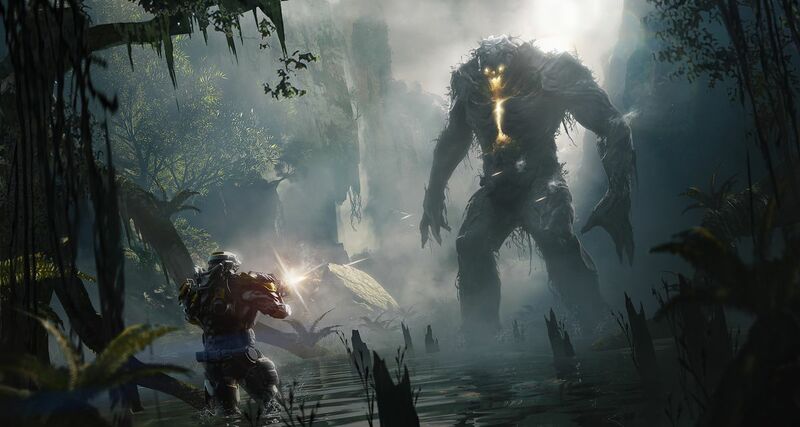 In Anthem, this ancient Ash Titan is but one of the monstrosities freelancers are sure to encounter in Bastion. Darrah recalls early tech demos for Dylan where players were “out in the wilderness,” perhaps in an exosuit but without the final product’s flashy, Iron Man-inspired traversal. Anthem character models shine up close. The end goal, however, was what BioWare calls “superheroic movement.” The first Avengers film came out the year that work on Project Dylan began, grossing more than $1 billion. Superheroics had never been so fashionable. But in August 2014, Hudson announced he was leaving BioWare to pursue new challenges. 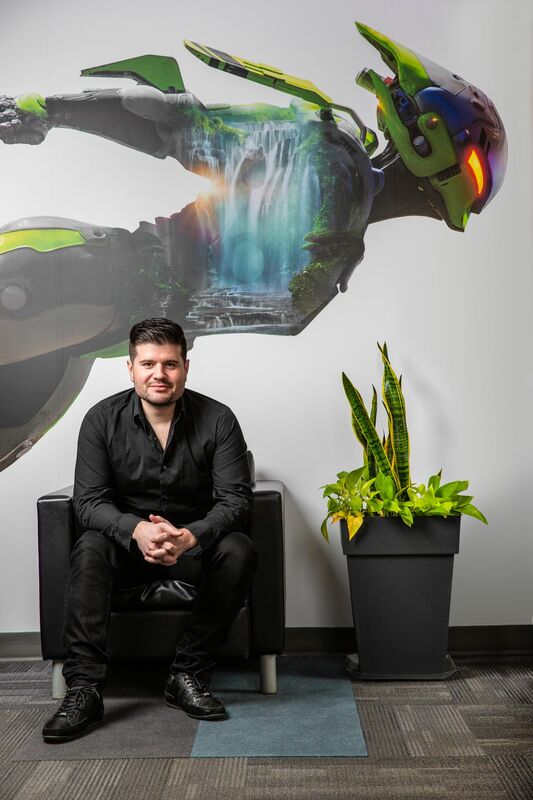 “The foundation of our new IP in Edmonton is complete,” he wrote in a letter to his co-workers, “and the team is ready to move forward into preproduction on a title that I think will redefine interactive entertainment.” In 2015, Hudson surfaced at Microsoft Studios, where he served as creative director for two years. 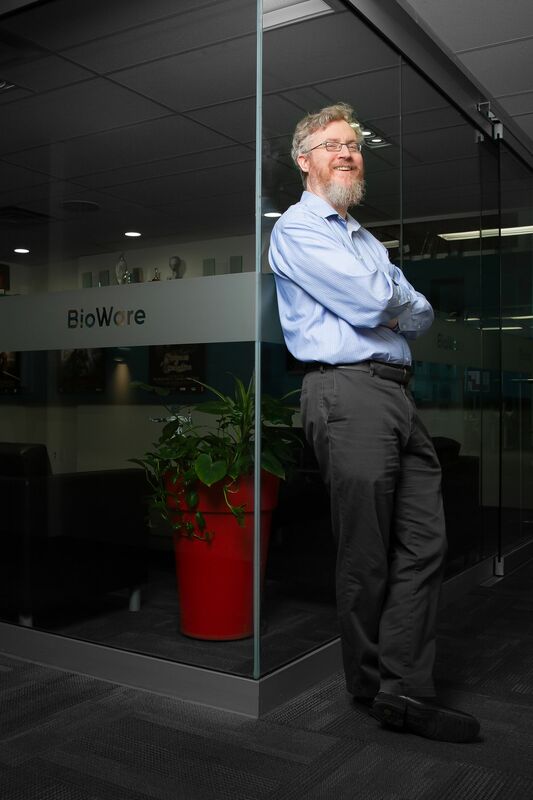 Even if he was walking out the door, it was easy to be optimistic about Dylan and BioWare’s future at that moment. Dragon Age: Inquisition, destined to be a triumphant game-of-the-year title for BioWare, was months out from release. The Old Republic team at BioWare Austin was gearing up to release Shadow of Revan, an expansion centered around the protagonist of 2003’s Knights of the Old Republic, one of the most beloved games in the developer’s history. James Ohlen — the lead designer of Baldur’s Gate, Neverwinter Nights, and Dragon Age: Origins — was hard at work on a project called Shadow Realms, inspired by his years as an avid Dungeon Master. And, most importantly to many, there was a new Mass Effect on the horizon. 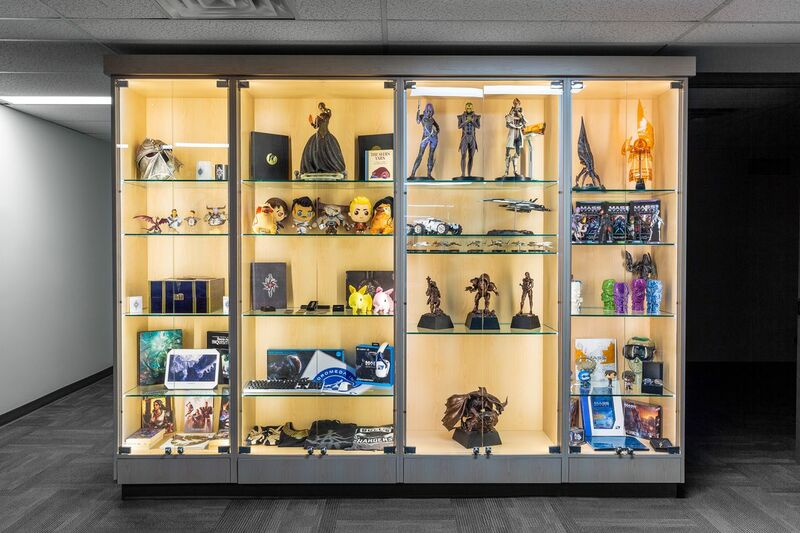 A trophy case in BioWare’s lobby. Pre-production on Dylan proceeded slowly, at first, as BioWare focused on hitting immediate milestones. Beginning with Dragon Age: Inquisition, Electronic Arts, the developer’s parent company and publisher, encouraged the studio to employ EA’s proprietary Frostbite 3 engine. The Dragon Age team struggled for years to acclimate to the unfamiliar tech, and satellite studio BioWare Montreal ran into similar issues while working on Andromeda, the follow-up to Mass Effect 3. Frostbite had been built by EA DICE, the Stockholm-based developer behind the Battlefield series, to power first-person shooters. It was an odd fit for role-playing games, and — as detailed in the Inquisition chapter of the book Blood, Sweat, and Pixels — required many of the features typical of BioWare games to be custom-made from scratch. During this same period, Shadow Realms, an asymmetrical action RPG that had become the pet project of veteran designer James Ohlen, also underwent a total reboot at BioWare Austin. Onetime Shadow Realms lead writer Alexander Freed, who left the company in 2012, says the version he worked on was “an extremely different game” than the one shown off at Gamescom 2014. 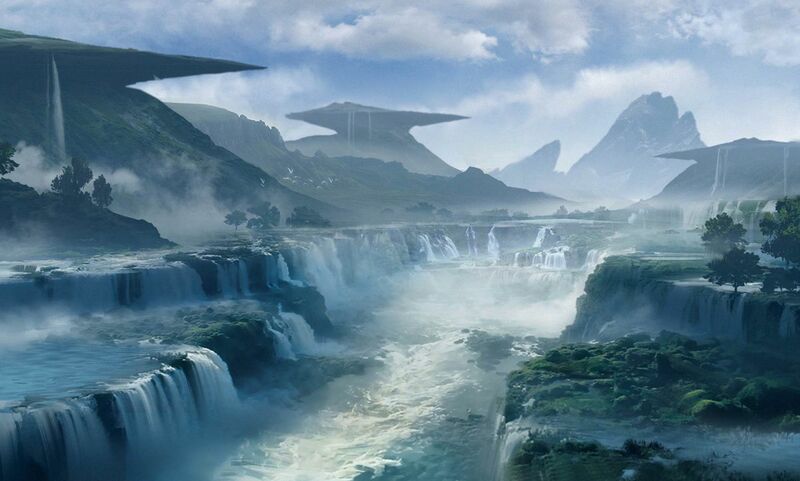 In February 2015, the studio shelved the game in favor of updates to The Old Republic, with EA publicly citing the then-upcoming release of Star Wars: The Force Awakens — the first new Star Wars film in more than a decade — as the main reason for the shift. While the Austin studio focused on Shadow Realms and The Old Republic, with the Edmonton office balancing Dylan and Inquisition, BioWare Montreal endured several years of turmoil, as reported in a June 2017 article by Kotaku. The story notes the Andromeda team in Montreal spent years of pre-production on various false starts, including a notion involving hundreds of procedurally generated planets not unlike the ones seen in 2016’s No Man’s Sky. Leadership turnover and dwindling resources reportedly left the project without a clear sense of direction, however, and the bulk of the game was developed over a period of 18 agonizing months. Mass Effect: Andromeda launched in March 2017 to lukewarm reviews, drawing widespread criticism for its poor facial animations and the leisurely pace of its opening hours. It’s often regarded as one of the most disappointing games in recent memory. Four months after its release, as BioWare continued to issue patches for the game’s character models and animations, then-general manager Aaryn Flynn resigned from the company, a move he said he’d been considering for some time. (He’d been with the studio since graduating from college.) Former Mass Effect project lead Casey Hudson then returned to BioWare as Flynn’s replacement. 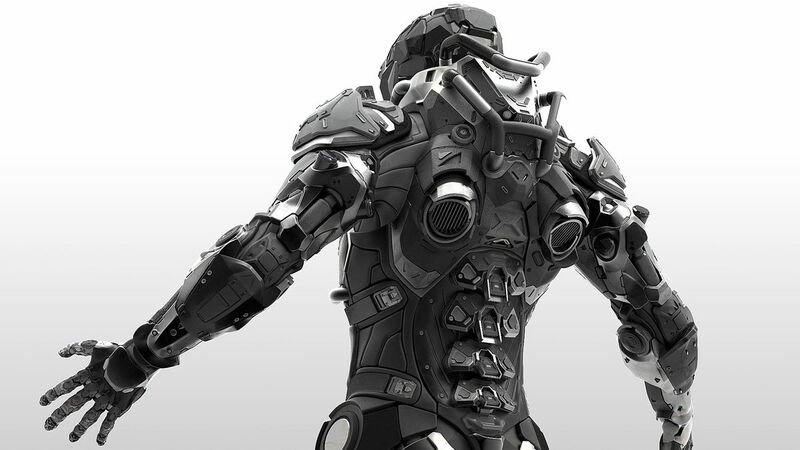 In Anthem, Freelancers don various “Javelin” exosuits to survive in the wilderness. Once Hudson settled into his new role as general manager, he says he was pleased to find Project Dylan alive and well. With Andromeda in the rearview mirror and BioWare Montreal being absorbed by EA’s Motive Studios, finishing Anthem was the logical next step. Anyone who played Mass Effect: Andromeda can see the best of its DNA in Anthem. BioWare learned a great deal from Andromeda’s use of gunplay and mobility, and the added ability to fly promises to set Anthem apart from titles like Destiny, The Division, and Warframe. Of course, this being a BioWare game, there was a specific kind of reaction to the reveal ahead of E3 2017: Was this just another “shared-world shooter”? Or would it also tell a meaningful story? Following the negative reception to Andromeda’s facial animations, Gamble says, BioWare invested in new technologies, such as performance capture, to ensure that Anthem wouldn’t suffer from the same problems. One of the greatest challenges for the project involved balancing its multiplayer gameplay with the more personal narrative, and the relationships you develop with various nonplayer characters within the solo areas of Fort Tarsis, the game’s safe zone. In the summer of 2018, BioWare made it clear that, for the foreseeable future, players won’t be able to romance Anthem’s NPCs the way they could in the studio’s previous titles. 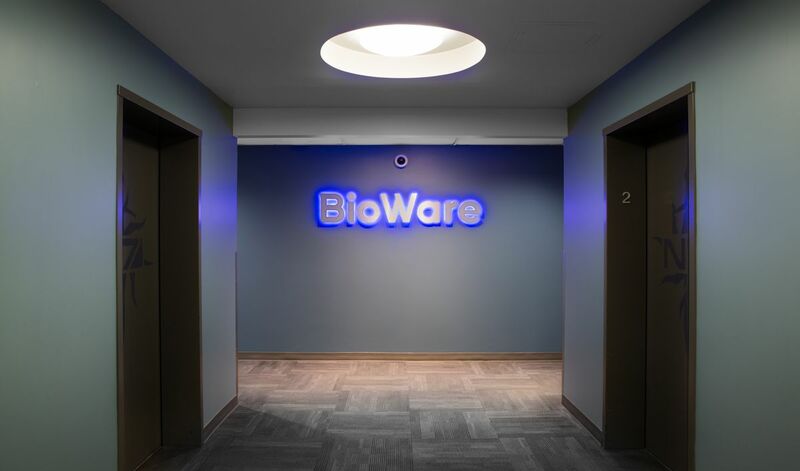 BioWare’s lobby keeps outsiders from seeing much of the studio. 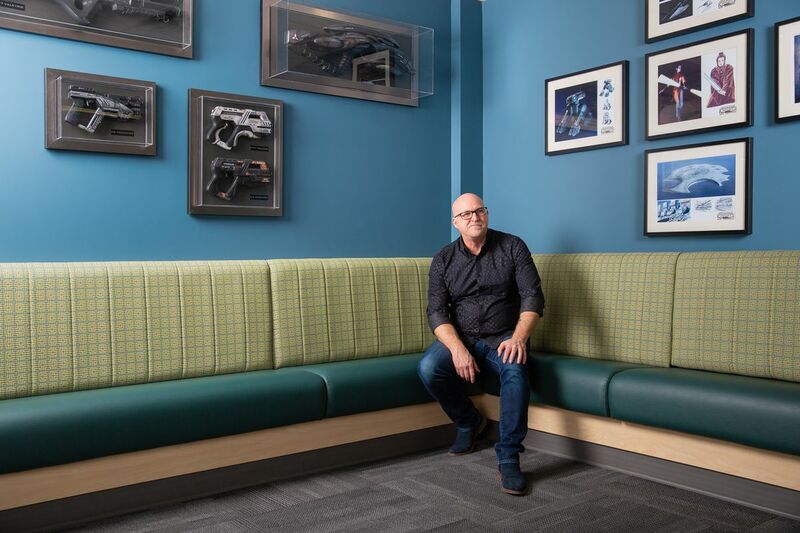 As the video game industry has changed these past few years, one big lesson BioWare has learned — from its own mistakes as well as those of other developers — is communication. 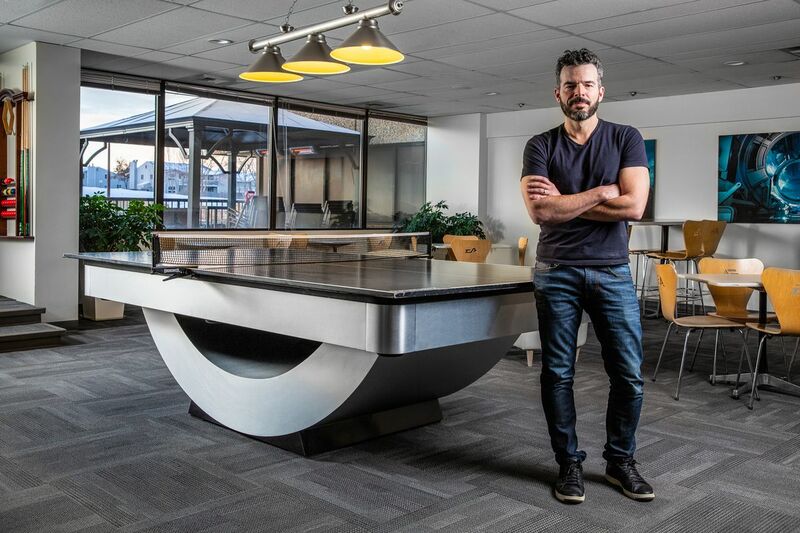 When Casey Hudson returned to Edmonton in 2017, he started a blog on the company’s website. 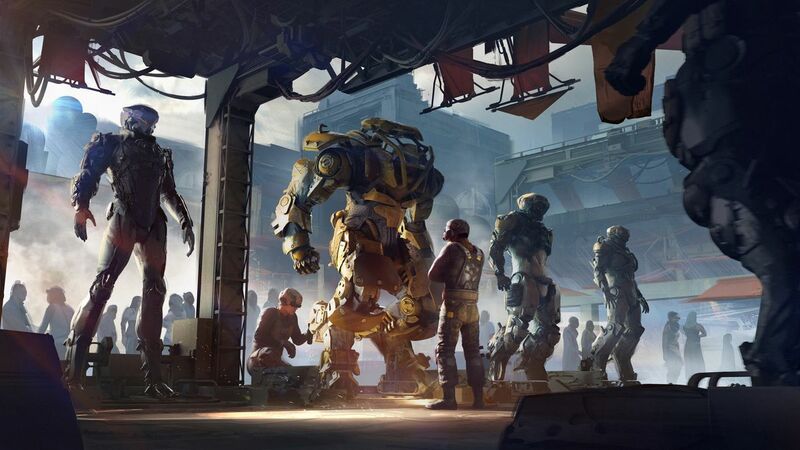 Since Anthem’s reveal, Mark Darrah has fielded hundreds of questions from would-be players on Twitter, making certain that folks understand what, exactly, the game is meant to be. And starting almost a month out from the game’s release, BioWare held two weekend demos for all platforms — PlayStation 4, Windows PC, and Xbox One. While the first play test got off to a rocky start on Jan. 25 — for much of the first day, many players were unable to log into the game, and those who managed to play were met with a host of unpleasant, game-breaking bugs — BioWare was able to fix the worst of the problems in time for the next weekend’s open demo. Anthem’s a roll of the dice — one that’s been a long time coming. According to one source familiar with the company who requested anonymity, there’s a great deal of uncertainty about what the game might mean for BioWare. In the event that it flops, some tough decisions will follow. And if it’s a big success, that, too, could have a significant impact on the future of the studio’s games. In Anthem, the world left behind by the “Shapers” — a mix of the otherworldly and familiar — feels almost prehistoric. Instead, Hudson points to The Old Republic as an example of the studio’s commitment to supporting an online live-service game over a number of years. (Its last full-fledged expansion went live at the end of 2016, but Hudson teased in a recent blog post that 2019 could be the MMO’s “most exciting year yet.”) He says that when he became GM of BioWare a year and a half ago, he was surprised to learn just how many people were still playing the The Old Republic. “We want to keep investing in it,” he says. But the wait for the next Mass Effect could be a long one. Between heavy production on the next Dragon Age and Anthem’s ongoing live-ops support — not to mention the likelihood of another major update to The Old Republic — Mass Effect is still firmly in the pre-production phase. If Anthem is to “redefine interactive entertainment,” as Hudson predicted almost half a decade ago, it needs to follow through on its promise of a “living, dynamic world” that tells a story over a number of years. “We don’t want to separate and stratify the player base at all,” says Gamble, echoing BioWare’s press briefing at EA Play 2018. “We want a consistent game state for everyone. So the story updates will be part of that, and the gameplay content updates will be rolled out into the world for free. Everyone gets them at the same time, and we’re going to do them pretty normally. We still have to figure out the cadence — and we have to, because we don’t want to lose players.” He also hints that new Javelins, or player classes, will eventually be added to introduce greater variety. “We didn’t want to kind of just leak things out from zero all the way up to a hundred percent,” Hudson says. “We actually want you to be able to jump in and get a big experience that really establishes what this world is, and what the experience is. We’ve got all four Javelins and a big critical-path story.” However, he stresses that the critical path is not a resolution. Player feedback, then, will help drive the experience going forward. Things like narrative focus and specific activities, or even the possibility of an eventual sequel, will come down to what players say they want. “I guess we’ll see how the thing unfolds,” he says.